Because WordPress is so big, it can be a target for security attacks. Hackers can break in to your website and insert malicious code, which can harm or break your site and cause it to lose position in search engine results. However, WordPress is open source, meaning developers from all over the world contribute to it, kind of like Wikipedia. Because there are so many developers, vulnerabilities are spotted and fixed quickly. This army of techies is always working to improve your site’s performance, in particular the website’s speed. Because it’s open source, major WordPress releases tend to be very stable. However, software will always have bugs, and minor releases are regularly published to fix them. WordPress plugins are add-on programs created by third-party developers. For example NextGen, one of the most popular plugins in the world, lets you make a photo gallery for your site. If you keep WordPress and your plugins up to date, they’ll play well together. The same goes for WordPress themes. 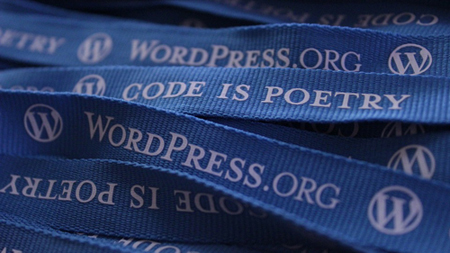 New features generally make WordPress easier to use or add functionality. Keeping your WordPress installation current is really, really important. Doing so will save you big headaches down the road. I offer annual retainer agreements to keep your WordPress website up-to-date and tuned. Contact me to learn more.